In 2019, Norwegian Cruise Line will offer eight ships in Europe. In the summer, Norwegian Epic will offer 7 night Mediterranean cruises roundtrip Barcelona or Rome. 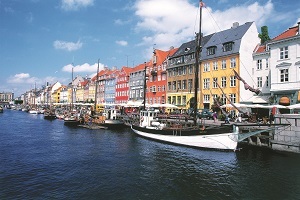 The Norwegian Getaway and Norwegian Escape will offer 9 night Baltic, Scandinavia & Russia cruises roundtrip Copenhagen. 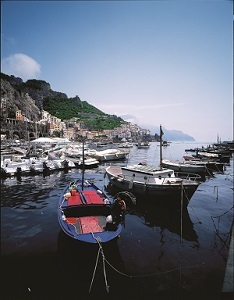 The Norwegian Star will offer 7 night Mediterranean cruises roundtrip Venice. The Norwegian Spirit will offer 7 to 14 night Mediterranean cruises from Barcelona or Rome. The Norwegian Dawn offer 7 night Mediterranean cruises from Venice. The Norwegian Jade offer a 10 and 11 night Mediterranean cruises from Venice or Rome. Norwegian's Europe Extravaganza Cruise Sale! Voted Europe's Leading Cruise Line 8 years by World Travel Awards! There's no better way to experience the history, the landmarks and the culture of Europe than with the freedom and flexibility of Norwegian Cruise Line. Enjoy our best European cruise vacations on four ships. Unpack once and wake up to a new city every day on a Mediterranean cruise. Explore the sights, sounds and flavors of Europe, on your own schedule. Ancient architecture, masterful museums and spectacular scenery are all yours to behold aboard the magnificent Norwegian Star. Explore the riches of the Baltic & Scandinavia/Russia as they were meant to be explored, at your leisure. Enjoy classic architecture, exquisite dining, diverse museums and more as you travel in style with Norwegian Cruise Line and Norwegian Star. Discover great treasures along the canals of Venice. Or pick up a treasure of your own at a shop in Santorini. As Europe's Leading Cruise Line, we'll take you places you've dreamed of with plenty of time in port to explore. From soaring cliffs along the Amalfi Coast to staggering fjords sliced deep into Norway's mountainous western coast, experience a vacation that is dramatic. Or add a land vacation to your cruise by booking one of our 11-15 day cruisetours and immerse yourself in even more culture and adventure. Whether you're floating along ancient waterways or wandering backstreets, make your own history in Europe. NCL's largest and most innovative cruise ship. This is cruising re-imagined! Entertainment onboard includes Howl at the Moon, Legends In Concert, Priscilla Queen of the Desert the Musical, Rebellion In The Ballroom, The Cavern Club, and Norwegian infamous White Hot Party! Enjoy a state-of-the-art fitness center, the Aqua Park, hot tubs, climbing and rappelling walls, bowling alleys, bars and lounges of all kinds, a kid's center, and teen disco. Accommodations ranging from our new Studios designed and priced specifically for the solo traveler to the over-the-top opulence of Norwegian Epic's Suites & Villas. Dining from traditional fine dining to endless buffets with custom-order action stations, there is a host of delicious options included in your cruise fare. For an additional cover charge, you'll have access to a world of possibilities including gourmet French, Japanese Teppanyaki, a traditional steakhouse and more - over 20 different dining options in all. Whether you're taking a walk on the wide side 17 decks above the water or a stroll along The Waterfront, discovering Norwegian's magnificent oceanfront promenade, all of their ships offer experiences you'll never forget. They're in the process of making the youngest fleet at sea (among North American brands) even better by investing more than $250 million in Norwegian NEXT - new enhancements, experiences and transformations - building on the success of their two newest ships Norwegian Breakaway and Norwegian Getaway. From rolling out their most popular restaurants & bars and newly crafted menus created by expert chefs, to innovative and customized entertainment for every ship. Norwegian promises this next wave of innovations will be nothing short of spectacular. They're also making extensive technology upgrades, revitalizing 8 ships during dry docks and investing in their environmental programs and brand new destination experiences. Norwegian's passion for innovation is the driving force behind everything they do - with a vision of making your best vacation ever even better. It's always new and exciting when you Cruise like a Norwegian. Better yet, drop off your bags, head up to the Aqua Park and whoosh down thrilling waterslides. Then get in a friendly game of basketball at the Sports Complex. Or find your own little retreat and catch up with your favorite book. Amazing days turn into dazzling evenings, so take in a Broadway show. Hit the slots. And dance the night away. There's something for everyone around every corner of a Norwegian ship. That's because Norwegian invented Open Dining in 2000, a revolutionary concept of no fixed dining times or pre-assigned seating and more dining choices than any other cruise line. And Norwegian does it better than anyone else by continuing to keep things fresh. From fine products they use, to their handcrafted cooking process and enticing presentations, you can taste the passion on every plate. So enjoy a four-course meal and a great bottle of wine. Or grab a burger hot off the grill. Dress up. Dress down. Sit with your friends or make new ones. Dine inside or oceanside on The Waterfront. Only Norwegian offers incredible culinary experiences with this much freedom and flexibility on a fleet of ships specially built with restaurants from bow to stern. Complimentary Dining - All of Norwegian's ships offer beautifully crafted menus in up to three Main Dining Rooms, a help-yourself buffet, a variety of cafes, grills and grab-and-go choices - and their wildly popular O'Sheehan's Neighborhood Bar & Grill. From prime rib to grilled salmon to the chef's original dishes made with the freshest ingredients, your dining can be as fine or fun as you want. With so many options to choose from, there's something for everyone. Specialty Dining - When you want a unique dining experience, Norwegian specialty restaurants offer a variety of tastes for every palate. Experience the fine cuisine at Ocean Blue by Geoffrey Zakarian. Indulge in succulent meats at Moderno Churrascaria or on Certified Angus Beef at Cagney's Steakhouse, exclusively on Norwegian. Dine on expertly prepared chicken, steak and shrimp at Teppanyaki. Or savor French cuisine at Le Bistro and go for Italian at La Cucina. They're all on board - and they're all delicious. Cover charges range between $15-$49 US per guest. Dinner and a Show - Join us in the magnificent Spiegel Tent - Norwegian's unique big-top venue - for Cirque Dreams and Dinner. Step into the illusionarium for dinner, where you'll be mesmerized by an immersive magical experience never before seen at sea. Feel the sizzle of a special performance of Burn the Floor in our Main Dining Rooms: The Manhattan Room and The Tropicana Room. And if you like sidesplitting laugher, Norwegian ships offer a hilarious murder mystery lunch performed by The Second City or check-out Wine Lovers, the world's first wine tasting musical. Dine Inside or Oceanside - There's something so extraordinary about dining by the water surrounded by fresh ocean breezes. Only Norwegian offers oceanside seating along The Waterfront, their revolutionary quarter-mile promenade lined with restaurants, bars and stunning ocean views. Dine with your family under the stars. It's an experience you'll never forget, exclusively on Norwegian Breakaway Class ships. Families play better together on Norwegian. From dodgeball to cupcake decorating, there are lots of activities all over the ships. Kids can learn to juggle at Circus School in Splash Academy, and teens have the coolest themed parties in Entourage - Norwegian's complimentary youth programs. Add exclusive Nickelodeon entertainment at sea for kids of all ages - even the grown up ones - and your family vacation gets awesome. So whether you're getting a gold medal in a family-fun challenge or munching on waffles with SpongeBob and friends, these are the moments you'll remember. Splash Academy For Kids 3-12 Years - When your little ones are having a great time, you're having a great time. Sign them up for Norwegian's complimentary youth program where they can enjoy creative play, sports and more. From theme-night activities to cool parties, Norwegian's youth staff have a knack for this stuff. Entourage For Teens 13-17 Years - Run off and play while your teenagers hang out in a place filled with video games, movies, arts, music, sports - and people their own age. From the coolest lounge at sea to the hippest dance club at night, there's always something going on at the teen centers. Best of all, it's all complimentary and supervised. Friendly Youth Staff - Norwegian takes your kids' playtime seriously. Which means all the youth staff members are carefully chosen from education and recreation programs at their universities. They're also certified in both CPR and first aid. Now let's get back to the fun and games. Rooms For Everyone - Read a bedtime story under the stars on your private balcony. Stay connected with adjoining staterooms. Start a pillow fight with your kids in a luxurious suite in The Haven by Norwegian. However your family likes to wind down, Norwegian has a wide variety of accommodations to fit every size family. The Haven - Welcome to a private world of luxury at sea - a ship-within-a-ship reserved exclusively for Norwegian's special guests. Each elegant suite and villa in The Haven provides you with the finest amenities, and the expert services of our concierge and 24-hour butlers. Step outside your residence and you'll enter a secluded Courtyard where you can spend your sea days relaxing, dining and enjoying exquisite privacy. We call it The Haven by Norwegian. You'll call it pure paradise. From the moment you choose The Haven, your VIP treatment begins. Our Elite pre-cruise concierge team will pre-arrange your dining, entertainment and spa requests. Once on board, a concierge will help plan your day whether it's hosting a private party or reserving a private tour ashore. And our professional butlers offer the highest level of personalized service 24 hours a day. We are dedicated to making your experience truly first class. AARP Member Europe Cruise Discount! AARP Members Enjoy Up To 5% Off Your European Cruise Fare! Many cruises in our most desirable locations such as Europe offer up to 5% off all cruise fares booked at least nine months in advance. So start packing and get on your way to feeling what it's like to Cruise Like a Norwegian. 10 Day Scandinavia & Russia Cruises From $999 US!